As a freshman at the University of Texas at Austin, it felt wrong to say that I’m from Houston. I had grown up there, but I had also just spent three of my formative high school years in Rio de Janeiro and was reluctantly relocated back to the Houston suburbs as a senior. Though I’m by no means Brazilian, I also felt detached from Houston and Texas as a whole. More than five years later, Austin felt like home. When I left to travel through Southeast Asia, Austin felt like the most natural response to the question; it was my first adult home, and it also offset any Texas stereotypes since many young non-Texans have heard about Austin’s “cool” factor. Diners eat at Conservatory, an underground food hall in downtown Houston, Texas. 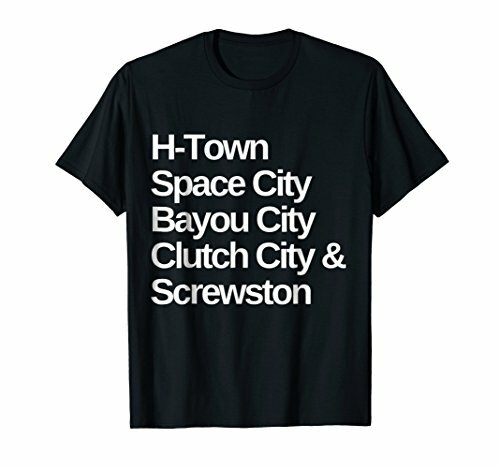 What does it mean to say you’re from Houston anyway? In the country’s fourth-largest city that is bigger than New Jersey, I was raised in a nondescript southeast suburb whose defining quality is that it’s home to Nasa’s mission control. Growing up, I didn’t know anything about Houston, at least not the real Houston. Without a car I was often trapped in the burbs—something I came to resent. This resentment is a common sentiment among bored suburban kids. Once we escape, we often look back at Houston with chagrin. A view of the Houston skyline from the new beer garden by local brewery Saint Arnold’s. Wait, is Houston actually cool? Last year, when I moved back in with my parents, I saw this Houston for the first time. I was dreading living in the suburbs, but this time I had a car, so I made the 30+ minute drive into the city almost daily. I joined a fitness studio there, frequented the city’s coffee shops (and wrote about it for Eater Houston), and met up with friends to explore museums and new restaurants. James Turrell’s “The Light Inside” at Houston’s Museum of Fine Arts. Houston—for its lackluster appearance—took me by surprise, emerging as a place I actually wanted to hang out in. Houston continues to gain notoriety as a food destination, and my list of must-try restaurants was never-ending. As the most diverse large city in America, bars and concerts were often filled with a multicultural crowd. Its art scene was on display all over the city, from world-class museums to commissioned street art. The Houston Astros were on their way to their first World Series win. When I eventually moved to Madrid last August I felt like I would actually miss the place. I would miss Houston’s laid back southern charm and its pockets of activity. I had enjoyed getting to know the city as an adult, and I felt guilty for being so harsh on it for so long. Just a couple of weeks later, Hurricane Harvey hit. I remember feeling paralyzed as I saw horrifying images of a drowning Houston from Spain. I was anxiously awaiting messages from friends and family and frantically checking social media as things got worse. Back in Houston for the summer, I sat down to finally write this post. Then GQ published an article calling Houston “the new capital of southern cool,” citing many of the same things I noticed during my time here. Seems I’m onto something. Houston, I’ll hang out with you any day.